This MEGAFORMER group fitness class is led by our elite studio instructors to ensure that your form is aligned and that you are stimulating your slow twitch muscle fibers to burn fat, build lean muscle, and increase stability and endurance. 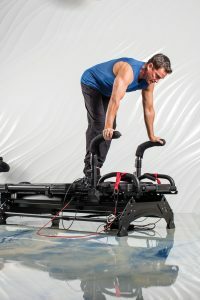 Our exclusive approach is designed to be a high intensity, low to zero impact exercise that uses slow, controlled movements that bring your body near the point of total muscle failure. 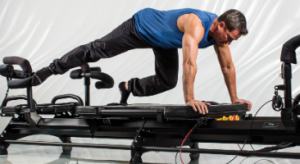 Our MEGAFORMER group fitness class uses our state-of-the-art machine, the Megaformer M3S. This class is a full body, high-intensity and low to zero impact workout and is 45 minutes in length. Our MEGAFORMER + VERSACLIMBER group fitness class is the world’s first high-performance neuromuscular strength and conditioning experience that is designed to stimulate both your fast twitch muscle fibers and your slow twitch muscle fibers. 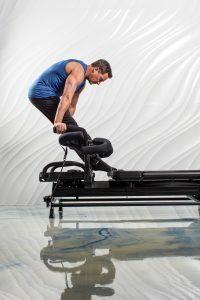 Our elite studio instructors will ensure that every movement burns fat, builds muscle, and increases stability to get a holistic, whole body workout in just 50 minutes. Our MEGA + VERSA group fitness class uses our state-of-the-art machines, the Megaformer M3S and the VersaClimber SM. This class is a full body, low to zero impact workout and is 50 minutes in length. This TLS FOUNDATIONS class introduces you to our whole body fitness training experience. Our exclusive approach to fitness uses high intensity, low to zero impact movements to burn fat, build long lean muscle, and stabilize your core through controlled movements on our state-of-the-art Megaformer M3S and VersaClimber SM machines. Our TLS FOUNDATIONS class uses our state-of-the-art machine, the Megaformer M3S and introduces the VersaClimber SM at our HCG and ATS locations. This calorie guzzling cardio class is guaranteed to burn more calories than any other cardio class on the planet while toning, sculpting and defining your entire body. THE #1 TRUE TOTAL BODY VERTICAL CARDIO MACHINE + WORKOUT. Cardio Body Sculpting at its finest ONLY @ TLS. A 30-minute full body cardio class that is zero impact on your spine, joints and connective tissues. This is a VERSACLIMBER workout. A 30 minute workout focusing on CARDIO + CORE. This is a MEGAFORMER + VERSACLIMBER workout. a 30 minute full body workout that hits all the right spots. This is a MEGAFORMER workout. PRIVATE, SEMI PRIVATE AND GROUP PRIVATE SESSIONS ARE AVAILABLE. PLEASE CONTACT THE STUDIO DIRECTLY FOR DETAILS AT 737.701.6911. THE LAGREE STUDIO is a CERTIFIED LAGREE FITNESS LICENSEE. All of our Instructors are LAGREE FITNESS CERTIFIED LEVEL ONE AND LEVEL TWO and are given additional training by TLS to ensure that we offer our clients the best experience and workout possible to ensure rapid results. 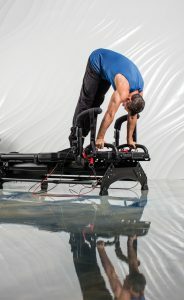 We use state-of-the-art equipment to ensure our clients are training on the absolute BEST products in the industry: the VERSACLIMBER SM to provide safe and effective cardio training with zero impact on the joints, and the MEGAFORMER M3S which was created by Sebastien Lagree specifically to compliment the Lagree Method…the original high intensity, low impact workout! 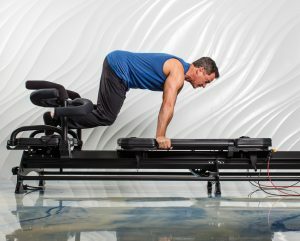 Performed by Olympic Gold Medalist Mitch Gaylord and Photographed by: Bryan Fitzsimmons for Austin Fit Magazine. MANY BRANDS HAVE TRIED TO COPY SEBASTIEN LAGREE'S LAGREE FITNESS METHOD AND MEGAFORMER MACHINES. WE ARE AN AUTHENTIC, LICENSED AND CERTIFIED LAGREE FITNESS STUDIO. WHY SETTLE FOR SECOND BEST WHEN YOU CAN GET THE BRAND THAT STARTED IT ALL. OVER 300 CERTIFIED LAGREE FITNESS STUDIOS NATIONWIDE.